What else can I possibly say? 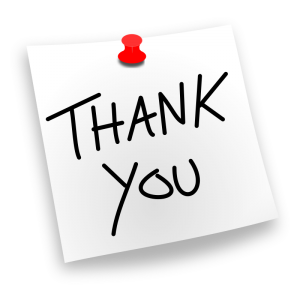 To all the folks who joined me yesterday in the Legacy Family Tree webinar, Building a Family from Circumstantial Evidence, thank you so much! What a great group, with great questions — that’s what makes a presentation so much fun, when there’s that sort of give and take with really enthusiastic people. A big “thank you” as well to Geoff Rasmussen! As always, he did a wonderful job moderating the webinar, and it never ceases to amaze me how fast he manages to get the recording of a webinar online. And, like all of Legacy Family Tree’s webinars, this one is now available, free for 10 days, at the webinar website (more information is available here). And the entire webinar, plus the handout, is available as a CD from Legacy Family Tree as well. You can get more information on that at the ordering page. Great job yesterday. Very, very impressive. So very nice of you to say so! Thanks, Jean. Watching the archive version is on my agenda for the long weekend! Sadly, the boss frowns on my spending 1.5 hours during the workday on fun personal stuff! Bosses can be sooooooo unreasonable, can’t they, Debi? I mean, really… what better to spice up the workday than genealogy??? Great Presentation! I couldn’t make it live and it looks like some who registered didn’t get to either (they exceeded the 1000 limit) so I’m especially greatful to Legacy Family Tree for archiving it. Listen to it quick, though; it’s only available for about 10 days! Thanks for the kind words, Tim — and isn’t it wonderful that Legacy Family Tree makes these available free for 10 days? I’ve been able to hear so many presentations that way that I’d have missed otherwise! We should be thanking you for taking the time to put together the superb presentation that you gave on “Building a Family from Circumstantial Evidence”. You have revitalized my interest in several family lines with which I have struggled for years. You’re so nice to say so, Allen — and good luck on those difficult lines!! Thanks for the kind words, Michelle, and oh yeah… real life sure is like that! What a GREAT webinar! Thanks for your hard work! Thanks so much, Yvonne! Glad you enjoyed it. Thank you so much for a fantastic presentation. I know I was on the edge of my seat waiting for the outcome of your research. Now on to the elusive parents of my own ancestor!!! Thanks for the kind words, Ginger! Good luck with those wayward parents! Thanks so much for doing this webinar Judy! I enjoyed it and learned a lot. I wasn’t able to attend it live, so I was wondering, do we have to buy the cd to get the handouts? Thanks for the kind words, Stephanie! And yes, I now understand that the handout is only available with the CD. And I have to apologize for that. I wouldn’t have said “you don’t need to write that down” if I’d paid attention to that detail beforehand. Thanks for your understanding, Stephanie! Thank you so much. It was very well put together, and i’ll be trying these techniques on several of my elusive ancestors. So very helpful. You’re so kind to say so, Melissa! Good luck with those elusive folks. Judy, I only recently found your blog and yesterday was my first Legacy Family Tree Webinar. I was so impressed that I ordered the CD as soon as it was over. Thanks for pointing me in new directions to look for my troublesome ancestors that seemed to have fallen off the map. I’m sure they didn’t and now I have a better idea of where to look. Also wanted to mention that I found your blog because I was trying to find out if I have any recourse for getting the records of my grandfather who died in a institution in 1939. HIPAA is standing in my way. Thanks for your superb blog post on this topic. It didn’t give me the answer I wanted but at least I know I’m not alone with this problem. Great job yesterday! I learned a lot and I’m looking forward to future webinars that you will present in 2013. And I’m happy to discover your website too. Thanks very much! It’s so very nice of you to say so, Carole! I’m looking forward to doing more in the future. Thanks so much for coming to say so, Bill! I appreciate it. You mentioned a handout only coming with the CD and since I have a Mac without any access to Windows, I am supposing that I might have to take a “few” screenshots? I’ll have to watch this weekend. Nope. First off, Geoff Rasmussen explained how to view the presentation on CD on a Mac (“Since the video files are html based, they will also run on your Mac. However, you will need to open the CD’s contents and navigate to the Webinars > _WatchTheWebinar.html file and open it. It should work then. The “autorun” ability does not now work for the Mac but this workaround should let you view the webinar.”) and Kimberly Powell offered another suggestion (“you might try a program called FlipforMac”). Second, the handout is plain vanilla PDF format so if you get the CD, any PDF viewer will be work with the handout. So glad to have found your website. Thank you, for your presentation on the Legacy Family Tree Webinar this past Wednesday, it was awesome! I thoroughly enjoyed the methodical way you ‘proved’ the case for circumstantial evidence, in such an incrementally instructive process… loved it. Your legal knowledge and experience combined with Genealogy research is such a gift to the Genealogy community at large. I look forward to hearing you speak in future presentations. Thanks so very much for the kind words, Marilyn! I just had the opportunity to view your webinar from Legacy Family Tree. I thought it was extremely helpful as I plan evaluating the big questions in my ownfamily tree. Thank you. I also read your blog post about the AncestryDNA. I was one of the pilot participants. I was quite disappointed in the generality of the results and especially the lack of the actual data. I am pleased that others, too, are encouraging ancestry.com to make the raw data available to participants. Thank you for those very kind words, Bob. As for AncestryDNA, I suspect they are beginning to understand that there is more to autosomal DNA that dumbing it down to make it as easy as possible. Don’t get me wrong — I love the idea of the automatic tree matching system. But it sure needs some work, and allowing access to raw data is just part of what needs to be done.